Natural gas prices have broken through a the formidable technical level of $10. This compares well to oil blasting past $40. 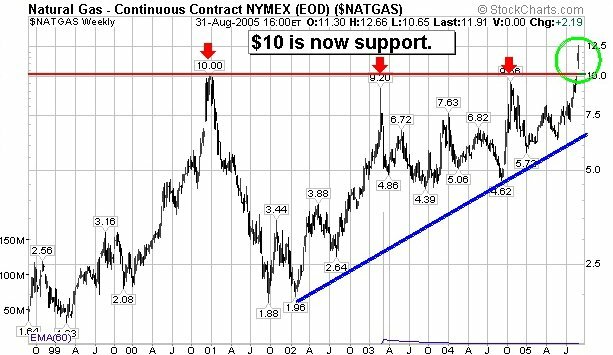 A new era of $10+ natural gas prices may be upon us.